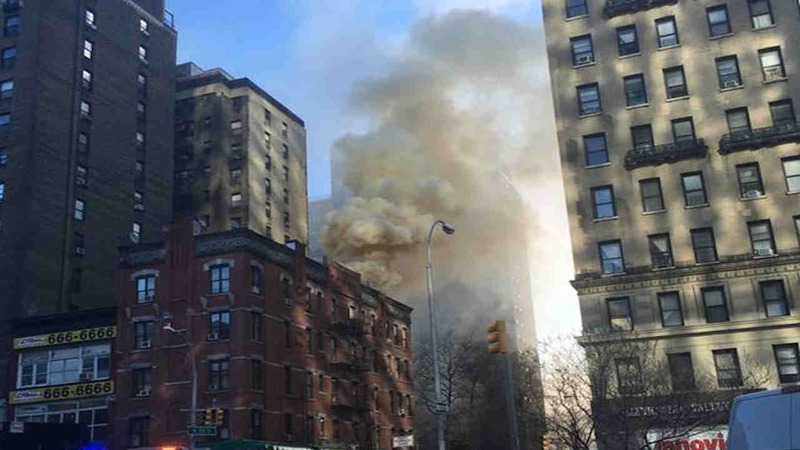 UPPER WEST SIDE, Manhattan (WABC) -- A smoky fire that broke out at an Upper West Side building Tuesday morning was under control before 1 p.m. The three-alarm fire started at 10:10 a.m. in a building at Broadway and West 100th Street. The fire started in the duct work of a restaurant on the first floor and spread to the second and third floors. The building is mixed-use with businesses and apartments.